Forthcoming: Linking to Grove Music Online and New York Philharmonic Archives. June 2015: Presentation at International Association of Music Libraries, Archives, and Documentation Centres. Nov. 2014: Presentation at British Library. Feb. 2013: Presentation at Annual Meeting of the Music Library Association. Toward the end of the Civil War and in the decade following, musical events in New York City grew ever more numerous. A vibrant musical life embracing both vernacular and cultivated music made this a golden age for music in the city. Not only did the public have wide choices—opera and oratorio, symphony and chamber music, band and minstrel shows, choral and solo concerts, and more—but many audience members were musically literate, having studied piano, voice, and other instruments. In their homes they played major works in simplified arrangements, and sang Civil War, sentimental, and minstrel songs, such as those performed by the Hutchinson Family singers and heard in the city’s vibrant musical scene. Resident professional performers constituted a large pool of players for the Philharmonic Society of New York, the Theodore Thomas Orchestra, and later the New York Symphony, organized and conducted by Leopold Damrosch. The same players could be found in theater pits, in band shells, and in orchestras that accompanied choral concerts. 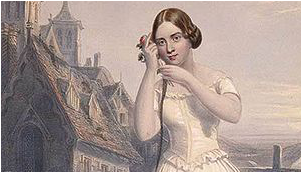 European artists also came to New York to appear in opera, orchestras, and vernacular entertainment. 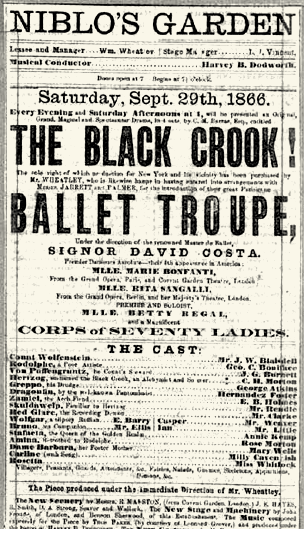 Traveling opera companies had annual New York seasons, offering productions of works only a few years after their European premieres, at the same time that parodies of these same operas were featured in minstrel shows. The Music in Gotham project chronicles this rich heritage, drawing on newspapers and periodical sources as well as private diaries, beginning with the years following those covered in Vera Brodsky Lawrence’s three-volume set, Strong on Music: The New York Musical Scene in the Days of George Templeton Strong. Music in Gotham will produce a searchable database and narrative, covering the performance and reception of musical events in New York City from 1862 to 1875.